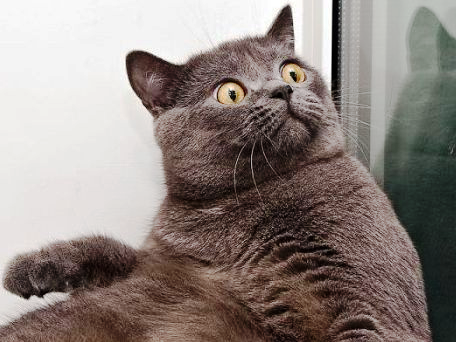 The IPKat posted a report earlier this week of the case Hospira v Cubist, in which three patents belonging to Cubist were revoked by Mr Justice Carr. A kind reader commented expressing the opinion that the reasons for finding the third patent invalid seemed a little thin. This aspect of the judgment is actually very interesting and was rather glossed over in the earlier post, and so this Kat would like to revisit the topic to look at this one aspect in a little more detail. The patent EP2264047 (“the 047 patent”) relates to a method of purifying daptomycin by altering the pH to change the CMC - that is not "Case Management Conference" but "Critical Micelle Concentration" - the concentration at which a surfactant (in this case daptomycin) begins to form micelles (spheres in which the lyophilic end [attracted to the surrounding liquid] of the surfactant molecule lie on the surface of the sphere and the lyophobic end [little attraction to the surrounding liquid] point into the sphere). (d) separating the monomeric daptomycin molecules in the daptomycin monomeric solution from high molecular weight molecules or aggregates by a size separation technique. The prior art document over which this claim was held invalid, Lin & Jiang, differed in that the CMC was altered by adding methanol, not altering the pH. The judgment becomes interesting, by which I mean tricky to follow, where it considers whether and to what extent it was known at the priority date to use pH as a method of altering the CMC. There was a dispute as to whether manipulating the pH was also a well known way of influencing micelle formation. Cubist's case is that changing the pH was not recognised at the priority date as a way of controllably forming and breaking micelles. pH was not referred to in this context in the literature published before the priority date. 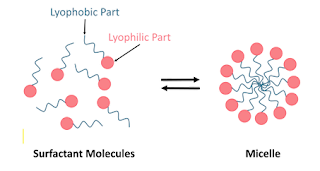 However, Dr Baker's view was that varying the pH was well known to vary the propensity for a lipopeptide biosurfactant to exhibit surfactant properties, including the formation of micelles. Adjusting the pH with the addition of an acid or an alkali could be controlled very closely, and the CMC could be varied; Baker 1 [4.45] and [8.27]. "There is nothing particularly special, is there, professor, about using the pH to control the CMC? It is just one of a number of different ways you could control the CMC if you wanted to control the CMC? Right, but the nice thing about the pH swing is that you do minimal alteration to the solution to form and disassociate the micelles. In a separation process the ideal thing is not to add much, if anything, to the solution that you're going to have to get out again so pH swing is a good method from that basis." In order to investigate how changes in pH or temperature would affect the stability of the solution and the CMC, it was common general knowledge to perform a routine CMC study. One such CMC study which investigates changes in pH on surfactin is shown in Figure 1 of the Cooper paper (supra). What are we to make of this? Both experts agree that pH was known to affect the CMC, and there was an example of a study of this in relation to surfactin (another biosurfactant molecule) in the prior art. However, the judgment appears to indicate that this knowledge does not seem to extend so far as use of pH to actually control micelle formation. Merpel notices the changing definition of standard ways. I consider that the skilled team reading Lin & Jiang would very quickly appreciate that the use of methanol in the purification of a pharmaceutical to be administered to humans was undesirable, and would look for another way to dissociate the micelles. Controlling the pH was one of three standard ways of doing this, along with temperature control and the addition of electrolyte. I set out my reasons for this conclusion in more detail below. e been understood to be particularly good ways of manipulating the CMC because they were readily controllable; and to Prof Myerson's evidence that both of those methods were advantageous because they require fewer additions to the liquid solution. When considering Lin & Jiang Prof Myerson accepted that pH control was one of three routine methods that would be considered to disaggregate the micelles. "Q. But as you say, somebody who was thinking of actually using it would very, very quickly see that the use of methanol was undesirable? Q. And it would be obvious to try and fix that? A. If you wanted to adopt this process you would look for another way to change -- to dissociate the micelles, I would agree with that. Q. You say to dissociate the micelles. Put it another way, to control the CMC? Q. And one that would be on a short routine list, and I suggest to you at the top of the list would be controlling the pH for all the reasons we have discussed. A. I think the reason we are all saying that is because we know it works. I do not know that I would walk in and say, hey, let us do this and let us control the pH to change the micellar composition of the solution or the CMC. If I was interested in reproducing this process, I would look at all the variables, I think that is fair, pH, temperature and the addition of electrolyte." Accordingly, the patent was held to be obvious. So is this the right result? Clearly, whether a finding of obviousness is justified depends critically on how well known it was to use pH to adjust CMC and control micelle formation. The problem is that from the judgment, it is not clear precisely what the relevant knowledge was. Thanks for revisiting this topic! It sounds to me as though the Cooper prior art, where another biosurfactant is purified in substantially the same way, could have been the final nail anyway. Interesting! I think pH control of CMC was probably known in 2001 for the case of polymeric micelles (US5955509A, and also academic publications of JC Leroux) but maybe the controversy was around biosurfactants vs polymers. Uhm... Short comment from someone who's not keeping up with this case (actually just opened this IPKAT article a bit randomly). It seems that what was considered before as the three "standard" ways of affecting the CMC were all influencing pH as well. And these are not things that will just escape the attention of a biochemist. So, is it that awkward that the judge may that (not so large) leap, when considering the general common knowledge?